The first low -cost houses in Malaysia were single storey terrace houses. As land became more expensive, developers built double storey terrace houses which could fit in more units per acre. They made savings in infrastructure costs too. But the cost of building only increased slightly. The savings in the cost of land and infrastructure compensated for any increase in the cost of building. 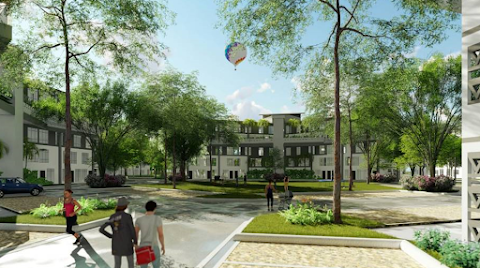 As urban land prices increased further, developers started building 5-storey walk-up flats. Developers discovered that this building type was cheap to build. Because there are many shared walls, floors and roofs, the construction cost per square foot is lower than terrace houses. They compensated for the need to construct common areas like staircases and corridors that increased the gross area of the building over and above the net sellable area of the apartments. The main savings was in the cost of land: each acre could fit in 3 or times the number of terrace houses while both building and infrastructure costs for each unit were also lower. There were savings in infrastructure cost as well because there are shorter runs of pipes, sewers roads and drains for each apartment unit in a compact multi-storey building compared with that found in a sprawling terrace house layout. All in all, compared to terrace houses, the building cost per square foot of net sellable area is about the same. 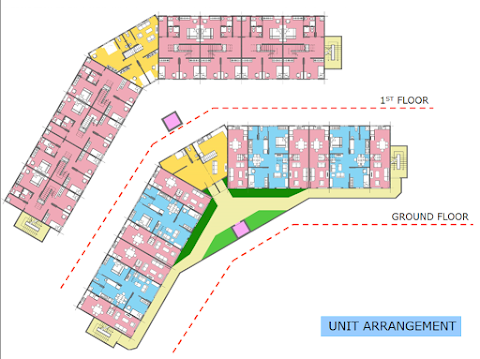 However, you could fit in 60 low-cost flats in an acre of land or about 40 medium cost ones. So, there was a considerable saving in both land and infrastructure cost. In the 90’s my firm designed and oversaw the construction of thousands of 5-storey walk-up apartments. The most common design had a single staircase access that served 4 units. It was a particularly efficient with minimal circulation space and sellable net floor area of about 94%. The main disadvantage of this building type is how the value of the apartments decline the higher up they were. The first-floor units were the easiest to sell; the 4th floor ones, the hardest. 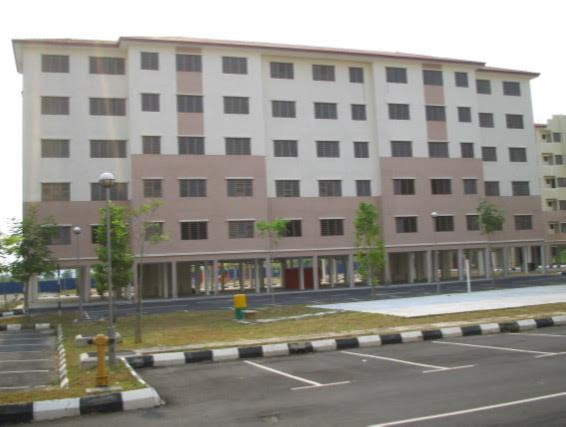 This was supported by a study done at low-cost and medium cost flats that my firm designed in Kajang. In the medium-cost flats, we placed more expensive flats (RM90,000) on the lower floors and slightly smaller lower-cost ones (RM60,000) on the upper floors. The units sold briskly: the more expensive ones on the lower floors sold faster than the cheaper ones on the upper floors. It was obvious that the upper floors were less desirable. 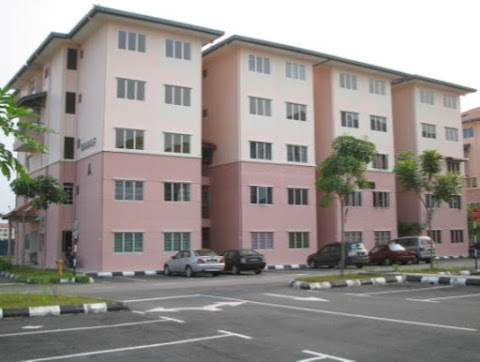 In the low-cost apartments next door which were sold at the heavily subsidized price of RM42,000, the lower floors were taken up. But at the time the study was undertaken, a couple of years after completion, the upper floors remained unsold. However, with a slightly bigger budget the upper floors can be made more marketable by adding a lift to each block. They wouldn’t be too expensive: they serve only five floors and need not be fire-rated; downtime for maintenance is acceptable without having a second back-up. Following the theoretical work that I had done with point blocks, in the 90’s my firm designed and oversaw the construction of thousands of 5-storey walk-up apartments. The most common design had a single staircase access that served 4 units. It was a particularly efficient with minimal circulation space and net sellable net floor area (NFA) of about 94% of the gross floor area (GFA). From the point block idea, it was a short step to producing low-rise Honeycomb apartments. The first proposal that follows is a proposal for a 60-acre site in a semi-rural area that achieves 40 units per acre shown here The second is for a small 2-acre site that has a density above 60 units per acre, and that will be in the next post. More recently the federal government finally introduced a separate “Affordable Housing” initiative, but many of the negative elements of the low-cost housing policy remain because State Governments have the ultimate say in land matters. 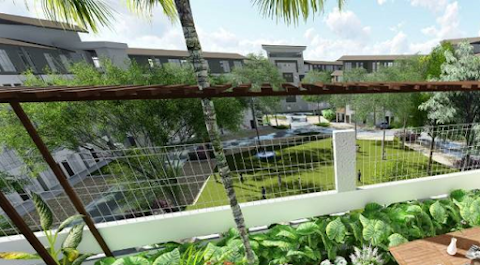 Perbadanan PR1MA Malaysia was established under the PR1MA Act 2012 to plan, develop, construct and maintain high-quality housing with lifestyle concepts for middle-income households in key urban centres. 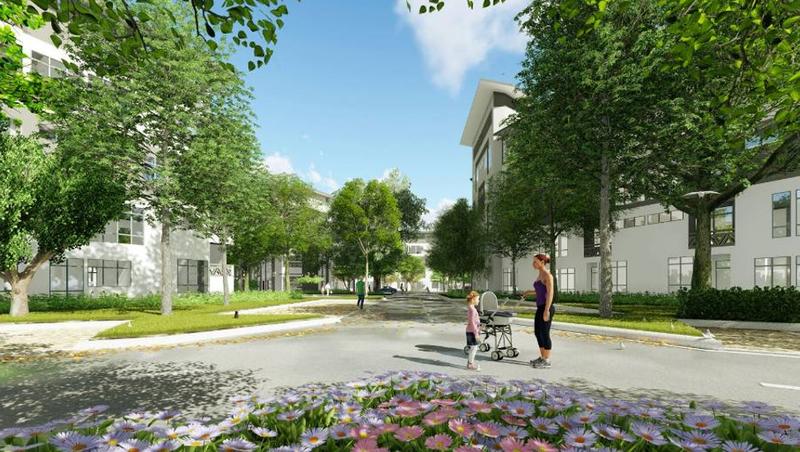 PR1MA homes come in various types and sizes within an integrated community; sensibly designed to suit different household needs. Priced between RM100,000 to RM400,000, you can now own a home that is well within your reach. 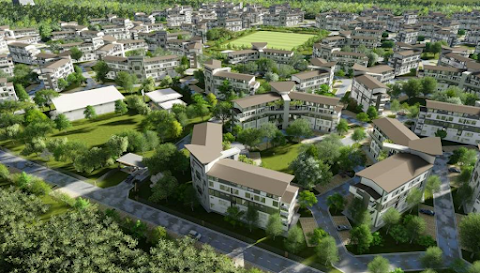 Earmarked for development in key strategic urban areas nationwide, PR1MA is open to all Malaysians with a monthly household income between RM2,500 to RM10,000. In this area, people expect to live in terrace houses; apartment living is still not thought to be acceptable. Still, given the soft soil conditions and the expected high cost of infrastructural development, the developer did not believe that the construction of terrace houses at affordable prices would be profitable. In 2014, 3 times median income in Penang was only RM180,000. I had previously planned a low-rise Honeycomb project for the developer in Alor Gajah. Could we do a medium-rise version of the high-rise Honeycomb concept here in this rural part of mainland Penang? 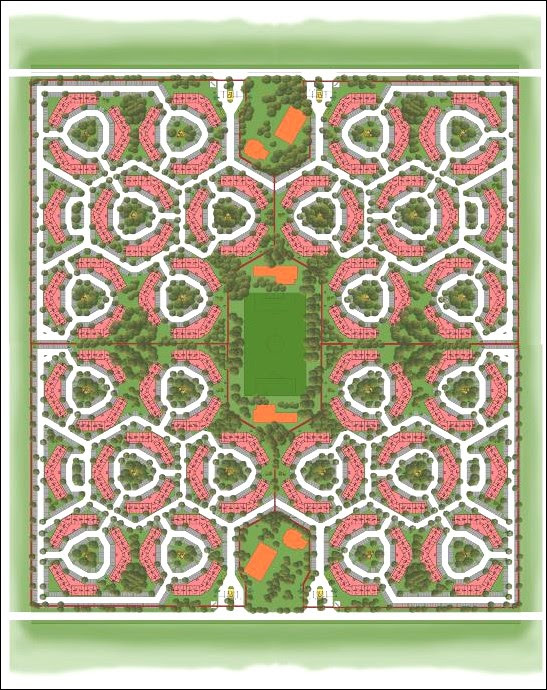 Following on my work from the 1990’s we created a layout that is based on a hexagonal grid with the apartments arranged around courtyard gardens. This is the basic layout that takes up a quarter of the whole site. The four quadrants each have their own access, we can enter two of them from the south and the other two from the north. At each entrance is a Surau and Dewan. 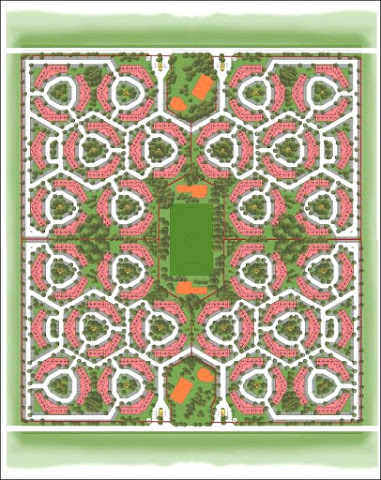 In the centre of the quadrants is football field flanked by a clubhouse and a kindergarten and child-care facility. The quadrant is fenced; at the entrance is a guardhouse. There is a main road that circles the quadrant and subsidiary roads branch off from the main road in a clear hierarchical manner. 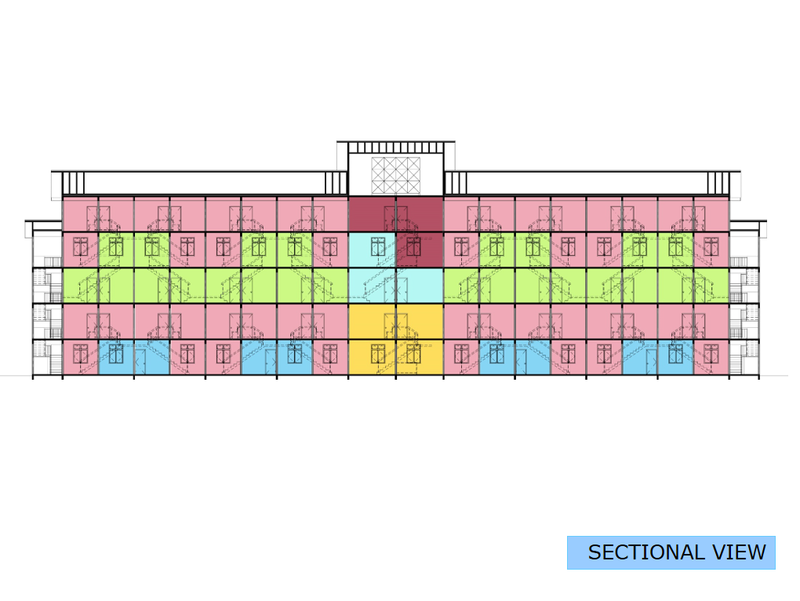 The basic neighbourhood is a hexagonal space in between three V-shaped blocks which meet the minimum allowance of 40’ side -to-side distance and 30” rear-to-rear. The layout, which created large courtyard spaces between the three blocks provided much, much more than the minimum requirement of 60”. The layout of each block adopts some of the features of high-rise honeycomb housing whereby the apartments are all accessed from courtyard floors about half the units are provided with a private garden. The duplex apartments accessed from the third floor are linked to the floor above it or the floor below it. The apartments on the ground floor are either single storey apartments or apartments that link the 1st floor. 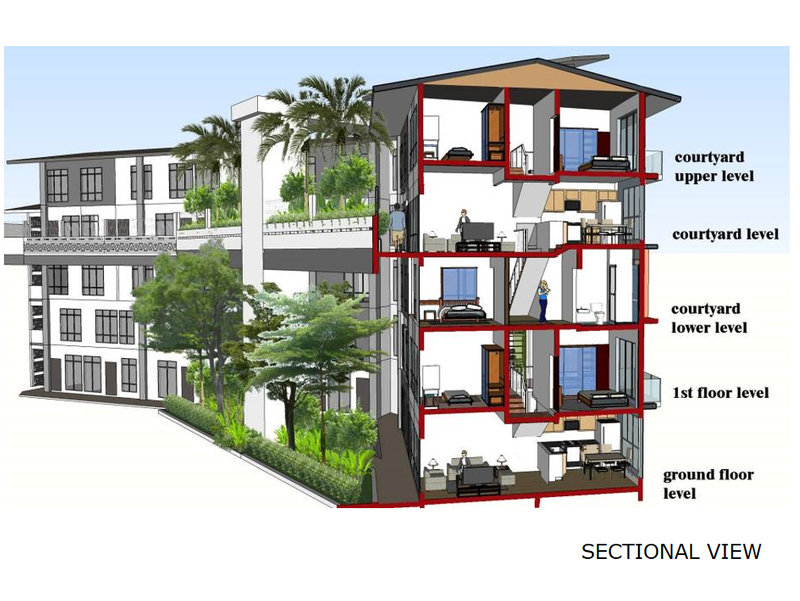 This arrangement allows a covered garden 3-storeys high to be formed on the ground floor and sky-court on the third floor. On the third floor, 10 units are provided with a private garden whilst 8 units do not have them. On the ground floor 8 units are provided with a private garden whilst 6 units do not have them. 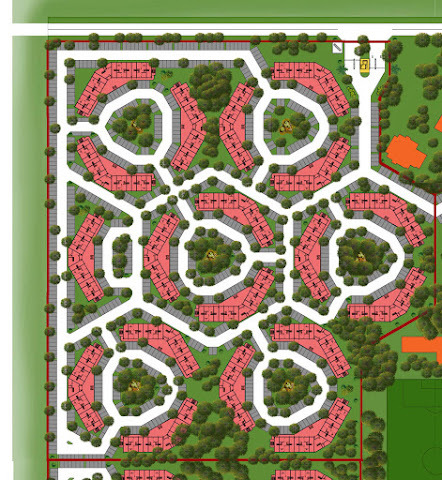 This compromise was proposed to meet the objection that not every buyer would appreciate the provision of a privately-owned front-yard and would be willing to pay for it. 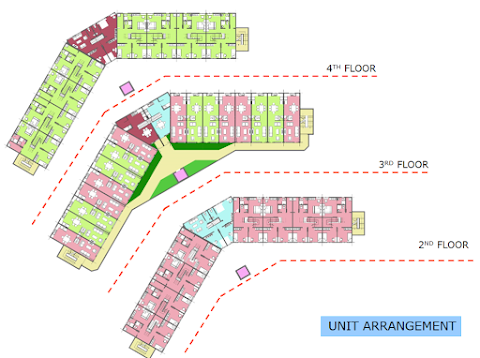 In this layout, the 1.5 car parks were provided for each apartment unit with another 10% for visitors. The advantage of the hexagonal layout is that though it uses land efficiently, it can provide variety in the quality of spaces between the blocks in a way that is aesthetically pleasing. The feasibility study for this proposal showed that there is good profit to be made if people are willing to buy it at prices from RM180,000. But will they? Some of the other consultants involved in the project were uncertain that they would accept the change from terrace to high-rise. If that is the case, it would be better to test the acceptability of Townhouses first. 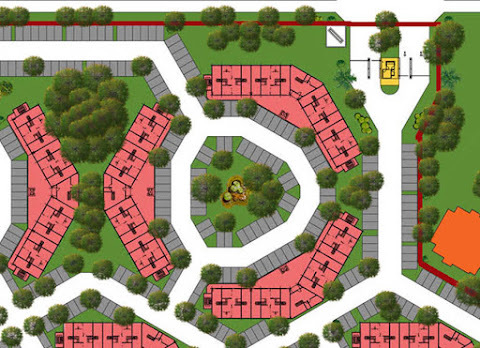 Although the client was happy with this layout, there were regulatory difficulties in acquiring this piece of land and its implementation would have wait for a few more years or else a new site.